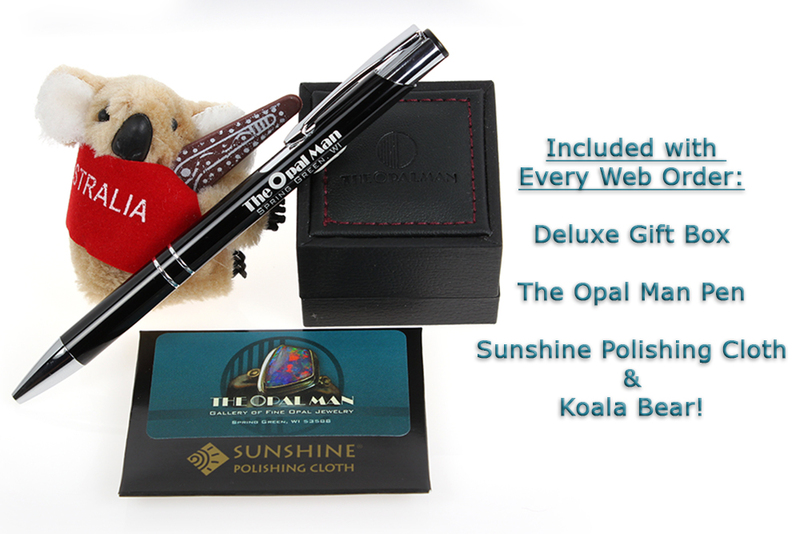 Australian semi-black opal ring in sterling silver with white topaz accents. Symmetrical wavy band with white topaz inlaid down the center of both sides help add a bit of class to this one-of-a-kind stone. 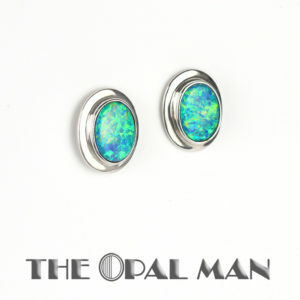 The opal has a light gray background with bright rolling flashes of green. When the light hits it just right, there are also flashes of red/orange, it’s like looking into a gloomy sky and seeing heat lightening. Ring size: 7.25 — Please call with questions about ring resizing. All new Opal Man jewelry comes with a deluxe The Opal Man gift box. Shipping and Return Policy FAQ’s: Please see our Terms and Conditions page. Lightning Ridge Opal Doublet Earrings – Posts in Sterling Silver – Bright!